The Reading Comprehension Test is one of the four tests of the Dental Admission Test. This test is scored in conjunction with the Survey of the Natural Sciences and Quantitative Reasoning Test to formulate your Academic Average score. A high score on the Reading Comprehension Test is an easy way to increase your Academic Average score and help buffer any lower scores in other tests or subtests that make up the Academic Average. However, when dental schools look at individual test and subtest scores the Reading Comprehension Test score will not carry as much weight as the Survey of the Natural Sciences subtest scores or the Perceptual Ability Test. Some dental schools like to see students score well on this test with typically a score of at least a 19 or higher. It is the easiest section to score well on in my opinion and I believe anyone could score 20 or higher on this test. No prior knowledge of the topics discussed in the paragraphs on the test is necessary. This test comes down to your ability to pull information from an article in a timely manner which can be accomplished through effective test taking strategies and proper time management. Find and implement an effective test taking strategy that works for you and spend time taking practice tests. Elimination: Look at the possible answers for each question and find which ones you can eliminate right away. Eliminating answers will help you get rid of the distractors and come up with the right answer more quickly. This is a helpful thing to do with every question on the DAT; there are distractors on every question. Typically you will always have two answer options for every question that you have to decide between and the rest of the answer choices you should be able to eliminate. Time Management: Make sure you are completing each passage with the questions in a timely manner. There are 3 reading passages with 50 questions in total for the test. You have 72 seconds to answer each question.This is one of the more difficult tests to manage your time on, therefore, it is crucial to time yourself and practice managing your time wisely while practicing for this test. A good and effective test taking strategy will greatly help to accomplish this. Practice: Do as many practice tests as you can for the Reading Comprehension Test; the more the better! You need to take multiple practice tests in order to find and implement an effective test taking strategy that works for you. Also to be more comfortable and efficient with your strategy which will increase your speed at reading and answering correctly the questions. This is the only way to crush it. Speed Reading Course: If reading isn’t one of your strengths then a speed reading course could be beneficial to you. It could improve your speed at reading and help you to more quickly and efficiently pull out the necessary information to answer the questions. You could look for a free online course or pay for one. Read Speeder offers an impressive free online course. The Reading Comprehension Test has 50 questions in total and is made up of 3 passages with a varying amount of questions per passage. Each passage is typically 1-2 pages in length with around 15 questions per passage. The passages will be about various scientific topics. There is no need for prior understanding of these topics in order to answer the questions. The test only requires the ability to read, comprehend, and thoroughly analyze basic scientific information. The following list of strategies are the more common strategies that I have learned and have had experience using them. There may be other strategies that are not listed below, but any one of these strategies could be implemented for this test. Read the Passage: This simple strategy involves reading the passage in its entirety before looking at the questions. Some people might feel more comfortable answering the questions once they have a clear understanding about the passage so they prefer this method. I would advise against it, because it is the slowest method to take this test and poor time management in my opinion is a major pitfall for this test. It is also difficult to retain that much information in a short period of time in order to answer the questions. You will spend more time reading the passage with this method than with any of the others, because you will end up having to go back to the passage for each question and re-read the material in order to answer each question. You will end up reading the same material multiple times and use up more of your allotted time. Read the Questions: This simple strategy involves reading the questions first before reading through the passage. Some people might feel more comfortable by knowing what the questions are asking before they begin reading the material so they prefer this method. I would advise against it, because it is also a slower method to take this test. It is difficult to remember all of the questions as you begin reading through the material to look for the answers. You will spend more time by having to go back and look at the questions multiple times while you’re reading until you come up with the answer for a question. You will end up re-reading the questions multiple times and use up more of your allotted time. Skim for Keywords: This is probably the most popular strategy for this test and it involves reading a question and then skimming the passage for the keyword(s) from the question. For example, if you had a passage on pasteurization and a question asked about milk pasteurization then you would skim the passage until you came across milk and read that paragraph until you found your answer. Typically the first sentence of every paragraph provides the topic for that paragraph. After skimming the passage multiple times as you go through the questions you typically have a good idea of what is discussed in each paragraph and can therefore answer the remainder of the questions more easily. You will end up going through the passage multiple times, but this method is much faster than the others, because you are not reading the passage multiple times you are skimming it. Try it out for yourself and see if it helps you improve your scores on this test. I would just caution you to make sure and read the sentences around the keyword(s) that you find for an answer as sometimes you may get tricked or overlook something without enough reading for comprehension. Roadmap the Passage: This is another popular strategy for this test and is the way that I prefer. It involves making a roadmap of the passage in its entirety before moving on to the questions. First, count how many paragraphs there are in the passage and on your laminated sheet that you are given at the testing center number the paragraphs in a column on the left hand side. Then skim each paragraph and write down keywords, topics, names, dates, etc for each paragraph under its assigned numerical value. Then proceed to the questions and refer back to your roadmap for each question to know what paragraph will contain the answer. There are 9 paragraphs in this passage so we make a column from 1-9 down the left hand side of our note paper. If you have a question on the diseases that pasteurization can prevent then you look at your roadmap and know that paragraph 6 talks about the diseases. If you have a question about flash pasteurization then you look at your roadmap and know that paragraph 8 talks about flash pasteurization. This strategy may not be as fast as the skim for keywords technique, but it should decrease the amount of time that you spend reading as your roadmap will help you identify where the information that you need to find is at in the passage. It is a more organized and structured strategy which any OCD people like me will appreciate. It will make you more effective at quickly pulling out the answers from the passages and managing your time more wisely. An effective strategy can make all the difference and help you score 20 or higher on the Reading Comprehension Test. It all comes down to what strategy works for you. Try out a few of them, or find another one not listed above and see what gives you the best results. You have 60 minutes to complete the Reading Comprehension Test. There are 3 passages and 50 questions in total. You will have 72 seconds per question on this test, but remember that if you are reading the passages in their entirety or road mapping them then this will take away from your time available to you to answer questions. If you are going to read the passage in its entirety or roadmap it then you should plan on spending no more than 3 minutes per passage. This will decrease your allotted time for answering questions, but you will still have around 60 seconds to answer each question which should be sufficient. There are several different review materials that you could use to prepare for the Reading Comprehension Test. They are all very similar to the actual DAT and are all considered good materials to use. You really can’t go wrong with any them whether that’s Kaplan, The Princeton Review, or another review course. I like the fact that if you purchase Kaplan’s materials then you have access to five full-length practice tests where you can practice for the Reading Comprehension Test and additional quizzes and section tests where you can get even more practice. 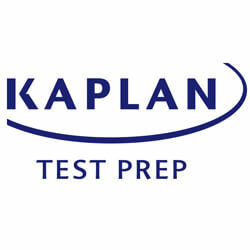 Kaplan will provide you with a lot of practice and experience for the Reading Comprehension Test. The Princeton Review will provide you with four full-length practice tests where you will also have ample practice questions and tests. You should get enough practice with this review course as well for this test. Crack the DAT has excellent testing software for the DAT including the Reading Comprehension Test. They will give you up to 10 practice tests for this test depending upon which edition you purchase. There are more sources out there so find one that will give you what you need in order to have enough experience and practice to be ready to crush the Reading Comprehension Test. If you need help finding a review course then feel free to message me! If you have any questions, comments, or advice that you think might be useful to others then feel free to share it below!